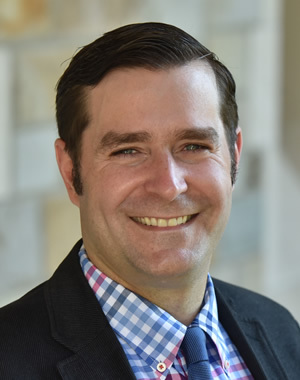 Kevin Stange is an Associate Professor of Public Policy at the University of Michigan where he teaches graduate courses in higher education policy, economics, and quantitative methods. He is also a Faculty Research Fellow at the National Bureau of Economic Research and Faculty Affiliate of the Center for the Study of Higher and Postsecondary Education and the Education Policy Initiative, both at University of Michigan. Professor Stange's research lies broadly in empirical labor and public economics, with a focus on education and health care. His prior research includes studies of college enrollment and persistence, the effect of resources and peers on community college students, the importance of amenities in college choice, and the effects of different pricing structures on major choice and student credit load. He is currently conducting research on the effects of price deregulation in higher education and the importance of school capital investment in K12. He has also researched changes in the health care workforce and occupational licensing. His research has been published in numerous economics, education, and policy academic journals and featured in popular outlets such as Time, Wall Street Journal, Inside Higher Ed, Chronicle of Higher Ed, Atlantic Monthly, and the Freakonomics blog. He has received research support from the U.S. Department of Education, the Spencer Foundation, the WT Grant Foundation, the Smith Richardson Foundation, the Robert Wood Johnson Foundation, and the Russell Sage Foundation. Prior to joining the Ford School, he was a Robert Wood Johnson Scholar in Health Policy Research at the University of Michigan. He received undergraduate degrees in Mechanical Engineering and Economics from MIT and his Ph.D. in Economics from the University of California, Berkeley. Kevin Stange will be on leave Fall 2018-Spring 2019. Kevin Stange, who joined the Ford School in 2010, has been promoted to associate professor of public policy with tenure.